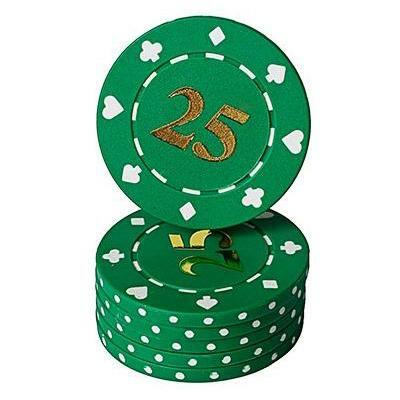 Gold foil hotstamped Suit pokerchips. 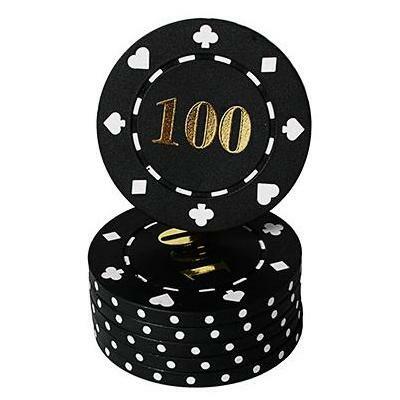 Suit design pokerchips with gold foil hotstamped value print. Hotstamping is a technique that uses pressure and high temperature to imprint a design onto a product. 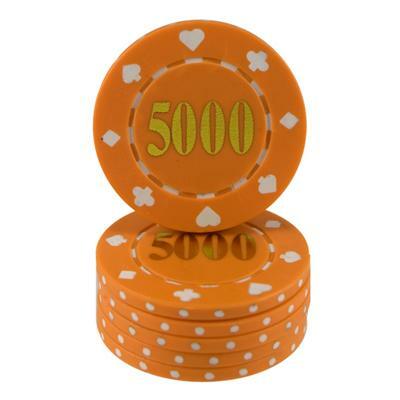 In this case, gold foil is used to print a value onto ABS Suit design pokerchips. 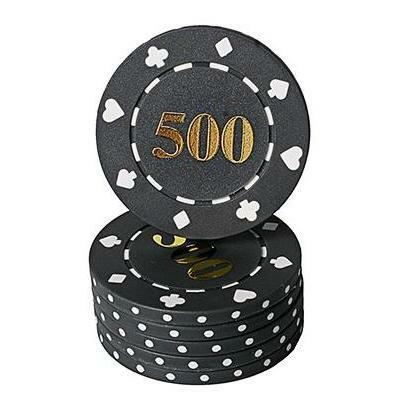 By using gold foil, these chips have a very nice look thanks to the golden reflection of the value's. 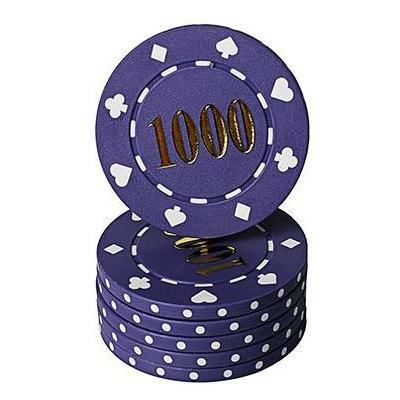 Suit design chips are made of ABS and weigh 11,5 grams.